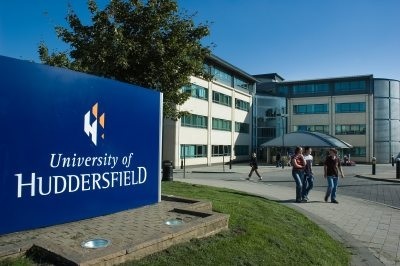 ProQuest salutes the University of Huddersfield, the UK’s University of the Year! The University of Huddersfield, a ProQuest client, won the top prize in the 2013 Times Higher Education awards. The prestigious awards, now in their ninth year from one of the UK’s leading publications, "represent a unique and high-profile opportunity to celebrate the excellence and amazing achievements of UK higher education institutions," particularly in the areas of teaching and research. The University of the Year award recognizes exceptional overall achievement. Specifically, the guidelines state: "Although research, teaching, access and business performance will be taken into account, the main criterion will be evidence of particular bold, imaginative and innovative initiatives that have advanced the institution's reputation during the 2011-12 academic year." The university, whose official vision is to be "an inspiring, innovative university of international renown," was described by John Gill, Times Higher Education editor, as "a university that is at the heart of its home town, as well as making a very real contribution to the wider region, the higher education sector, and the country as a whole." The Times Higher Education awards are regarded as the education sector’s equivalent to the Oscars. So let’s toast the University of Huddersfield for its outstanding performance in a leading role!